This was the tipping point. This was climate science’s Battle of Hastings, when political exigencies—the enemies of science—broke through the lines and went on to overrun all its institutions. Before Hansen there had always been the rogue scientists hawking some kind of scary scenario to the press or politicians. Indeed, sometimes they listened, and sometime they got all het up about it. Yet the institutions of science held firm. Before the IPCC there had been other politicised scientific institutions—the USA EPA is the prime example (see discussion here). And as for the Hockey Stick, well, by then it was all over, with the Climategate emails confirming that a culture of science-as-advocacy was already endemic in the science informing the IPCC assessments. The travesties of the Third Assessment would be unimaginable without the transformation that had already occurred in the writing of the Second Assessment. Madrid was the tipping point, when everything began to change. Not that everyone noticed it at the time. That the general shift begun at Madrid is much easier to see now with so many years of hindsight. For example, consider the shift in the opposition; how after the breakthrough in Madrid there was a gradual change of the guard on the sceptical front. After the Second Assessment, after Kyoto, most of the usual corporate opposition was in retreat. Many went over to the other side, at least in their marketing—with the sins of their past quickly forgiven and forgotten. Does anyone even remember the Global Climate Coalition? If you have heard of ‘Big Oil,’ well this was it out there in the sunshine with the thinnest veil of disguise. These guys were seen on the job in Madrid passing notes to the Saudi delegation before its every intervention. A week after the conference a Science journal news headline trumpeted their failure to swing the conference against just such a pronouncement: It’s official: the first glimmer of greenhouse warming seen [8Dec95, p1565]. Then the following Spring, with the imminent publication of the new Assessment, and with similar headlines now mainstream, the Global Climate Coalition fought back by sparking the controversy over the late changes to Chapter 8. This was picked up by Frederick Seitz, a notorious Merchant of Doubt associated with the tobacco lobby. But his Wall Street Journal op-ed [12Jun96] seemed to present some pretty damning evidence of politicised tampering with the conclusions of science. It caused quite a stir in the science press, with the contrarian climatologist, Fred Singer, coming in hard behind Seitz. Even if it seemed that every other climate scientist jumped in behind Houghton and Santer, a new scepticism now emerged to fight not for policy outcomes but in defence of science. Indeed, the political forces against emissions control were still corporate, and still on the right, but this was a new and powerful dimension to the debate. And yet it seemed that the scientists advocating for climate change science didn’t even notice—some not until Climategate, others not to this day (eg, The Royal Society presidents discussed here). They are still fighting ‘Big Oil.’ Perhaps it was convenient, or tactical, to tar the new with this old brush. Perhaps, and yet, when Bjørn Lomborg (1998) and Steve McIntyre (2003) came on the scene, it does seem that many found it truly inconceivable that they might not be motivated in some way by short-sighted self-interest, or capitalist greed. 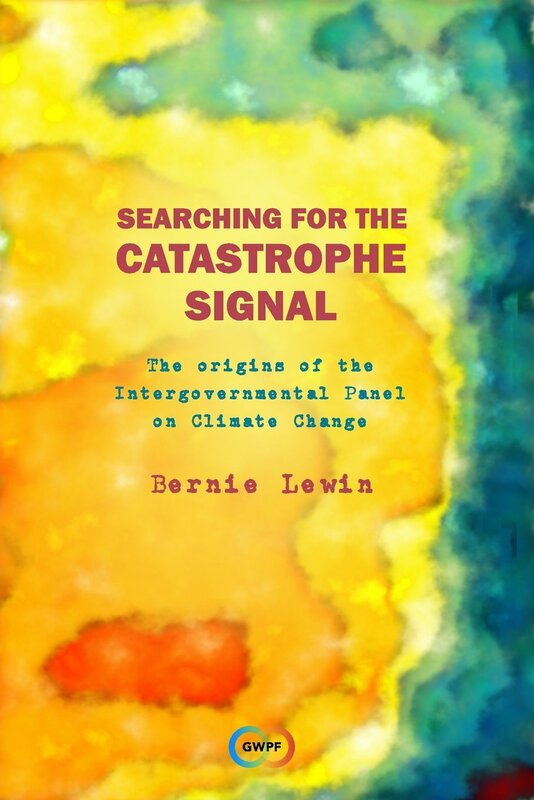 It was just as inconceivable for scientists advocating for climate change science that they might be, themselves, complicit in the perversion of science, where, as Richard Lindzen observed, the legitimate role of science as a powerful mode of inquiry is replaced by the pretence to a position of political authority [in Montford 2012 pdf]. When did this all begin? Was it a gradual thing, or was there some dramatic breakthrough at that meeting in Madrid scheduled to finalize the second scientific assessment of climate change? Late in the belated preparations of its 3rd report (the ‘Second Assessment’), the IPCC Working Group 1 was still saying that the science was inconclusive, uncertain and disputed. Moreover, despite enormous pressure, including his own personal interests and opinion, Ben Santer’s chapter continued to proclaim that the evidence for the detection and attribution of a catastrophic warming trend was in many ways uncertain and certainly inconclusive—hardly the bases for a legally binding global commitment to radical reform. UPDATE 25 April: Some corrections of facts thanks to John Zillman. Also, while I encourage discussion below, late-comers might be interested to follow the discussion at Bishop Hill, WUWT, and Climate etc. While the author considers this document (SAR WkGp 1), this time (1995-6) and this place (Madrid) of the highest significance to this controversy, nonetheless he lacks many original documents required to study it. Any assistance in locating such documents would be appreciated. UPDATE June2012: Mike MacCracken has kindly supplied requested documents and more. This entry was posted in Climate Change Science, History of Climate Science, Politics of Climate Science and tagged Benjamin D. Santer, Chapter 8 Controversy, Global Warming, IPCC, John Houghton, Second Assessment Report, The new ice age scare, UNFCCC, Working Group 1. Bookmark the permalink. Nice work. Look forward to Part 2. Have you contacted Pat Michaels directly re the paper you seek? No reply from Michaels yet. However, his website remains an important source for the controversy around the development of SAR. I applaud your part 1 presentation of the history of the corruption of science in the study of climate. There is a lot of evidence in your work. I look forward to additional parts. I really enjoyed reading the essay but I have to say I think the hockey stick was the tipping point. The Kyoto protocol was adopted the UNFCCC in 1997 but no country ratified it until April 1998, right after the MBH first hockey stick was published. This is the sort of review I appreciate prosilesia – informatorium sl. Thank you for spending the time to research and write on this epochal turning point in modern science. So interesting! It reminds me of when I first read Alston Chase, _In a Dark Wood_. Have you been in contact with Dr Vincent Gray at NZ Science? He’s been a reviewer of all the Assessment Reports and seems to have a pretty good handle on all the skullduggery that’s been going on.His article: The Triumph of Doublespeak – How UNIPCC Fools Most of the People All of the Time, is a classic. I’m sure he’d assist if he can add anything to your quest. Good luck with what you’re doing! On heels of a 70-year “dead sun” Maunder Minimum, the breadth and duration of Santer’s malignant AGW scam are simply breathtaking. Perhaps a sequel to HSI would be in order, putting IPCC and Mann et al.’s willfully false manipulations in larger political context and perspective. and it was coming from a global environmental lobby engorged with public funding (see discussion in a following post). Well that alone has earned you a shortcut in my browser. I’d like to repost this on WUWT so that it reaches a wider audience. May I have your permission to do so? “some pretty damming evidence”. No backed-up water involved, damn it! The simultaneous preparation of the reports of WGs 1, 2, & 3 has always seemed to me like a blatant de facto acknowledgement that the reports were pre-cooked from the top down. Judith Curry has also flagged this post on Climate Etc, which should lead more people to this excellent blog. You’ve shown science colllapsing under political pressure here, by looking at the drafting progress of a document (as well as by comparing it to what the executive summary says). But I seem to recall that the IPCC has threatened to expel anyone (eg McIntyre) who publicises drafts (thereby upsetting the vital illusion of ‘consensus’). So does this mean we/you depend on leaks ? Enron is part of this debate as a forthcoming book I will work on this summer will document. Ken Lay got on board in 1988, the year of Hansen, and put a lot of resources into the effect that produced the Kyoto Protocol. So the influence of coal and ‘Big Oil’ was increasingly countered by Enron first, John Browne and BP next, and then Shell within the fossil fuel industry. I am not sure if this early date for Enron weakens this aside to my hypothesis about a tipping point in the corruption of science. In your view of the drivers behind Kyoto, it looks like a classic outcome of the Baptist and Bootleggers type. Indeed, the qualified (Enron) victory at Kyoto might then be seen as a tipping point in the domain of corporate investment and marketing strategies, where an AGW stance crossed a threshold of attractiveness for some of the big players. Dunno. A survey of the timing of the ‘green’ conversions in the mining and energy lobby would help here. I am sure someone has cover this. Alas, this is not my field. It is worth mentioning here firstly that after this post, upon recommendation by Dr Santer, I contacted IPCC WG1 Tech Support in Geneva for copies of earlier drafts and for other supporting documents . They responded that they were unable to supply these, noting a requirement for retention for 5 years only. This is important for historians to keep in mind. Dr Santer also put me onto Dr MacCracken who kindly supplied the drafts that I requested as well as other important related documents. In our correspondence Dr MacCracken made the point a number of times that openess is what the IPCC is about and that secrecy is anathema to its spirit and purpose. Why are you smearing Dr. Seitz? I did not mean to smear Seitz. I use Oreskes’ term ‘Merchants of Doubt’ with irony. As one of the few professional philosophers of science writing about the global warming scare, I felt that I should review her book. However, I found her work on the topic, and especially this book, so applauding that I could not bring myself to write about it without descending into a diatribe. Unlike the other relevant pro-AGW books reviewed on this site, I could find nothing interesting to discuss. ‘Big Oil,’ ‘Deniers,’ ‘Merchants of Doubt,’…the extent to which these demonising labels are tolerated within and around the scientific discussion indicates the level of corruption. And especially the latter: how could anyone who supports science dare to demonise doubt?? Anyway, thank you for this background on the smear. While I did not know the detail, I am not at all surprised. Finally, let me say it right out: We have Seitz to thank as the scientist to blowing the whistle on this corruption in the public domain. And I continue to thank that other notorious Merchant of Doubt, Fred Singer, for his help with my own investigations.